So, I’ve finally been for my first eat out vegan burger! Excitement! People have been recommending Mooshies vegan burger bar in east London’s famous food location, Brick Lane, for ages, but as I’m living on the other end of town it never seemed quite worth the trek for the sake of a burger. But when a (fellow vegan) first date wanted to meet up in Liverpool Street I took the opportunity and dragged him over to Mooshies for dinner. The date, in case you’re wondering was a disaster. But the burger was delightful! Mooshies offers a simple menu with a choice of jackfruit (aka mock ‘pulled pork’), quinoa and black bean (fake ‘beef’), and battered aubergine (uhm, ‘fish’?!) burgers. They all come in wonderfully squishy brioche buns, with vegan cheese & may options and all the trimmings, plus a range of exciting vegan-friendly sides. 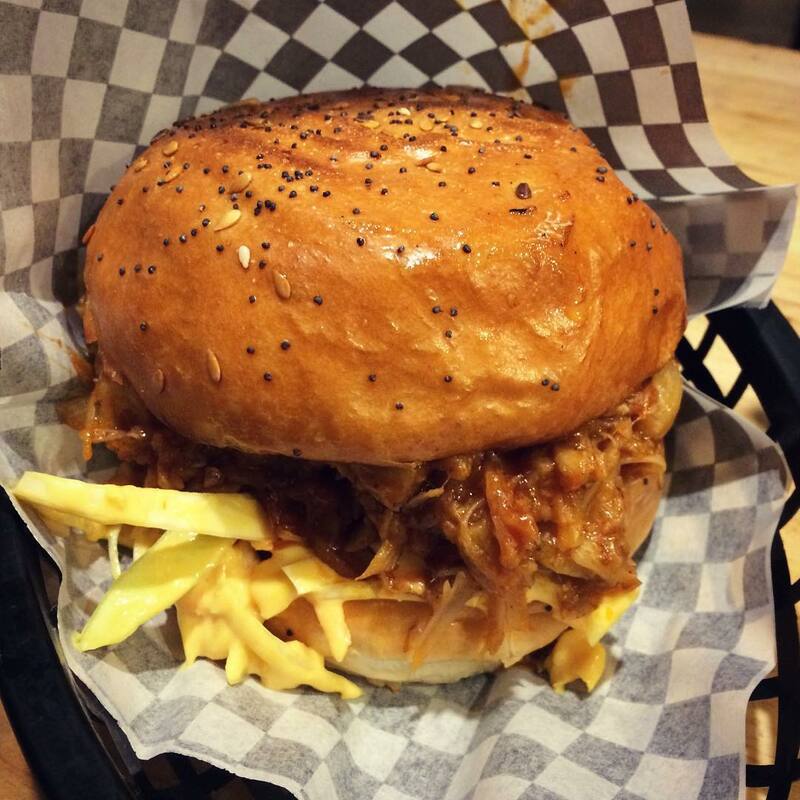 I tried the jackfruit burger, which came dripping with BBQ sauce and vegan cheese, and it was an absolute feast – not necessarily a healthy option, but oh so indulgent. Plus a side of crunchy, refreshing slaw and super crispy sweet potato fries. Now, being the health nerd I am you won’t see me in a fast food joint that often, and I don’t think I’ll be travelling all across town for even the best of jackfruit burgers on a regular basis. But if you’re in the area and looking for a tasty vegan treat, definitely grab yourself a Mooshies!